When properly designed and installed, your very own backyard can have such an incredible spa-like feel that it may make you feel like skipping the expensive vacation spot altogether. Your own outdoor retreat can feel like a pricey resort right at home without the hassle of passports, airports or long drives with screaming kids. The oasis can come to you and provide relaxation and entertainment well into the evening hours without the fuss and annoyances. There are lots of inexpensive garden ideas that can help add that island staycation vibe. You can drape a hammock across two trees, or anchor it from your pergola for lazing around with an icy margarita or put in a fire pit to roast marshmallows for starters. We’re more than happy to work with you or your landscape architect to bring the staycation feel you are seeking to your outdoor living spaces with a custom outdoor lighting design and turn-key lighting program. And with the heat and humidity in Nashville this summer, it’s a no-brainer to wait until the evening hours when things are cooler to enjoy some time outdoors. 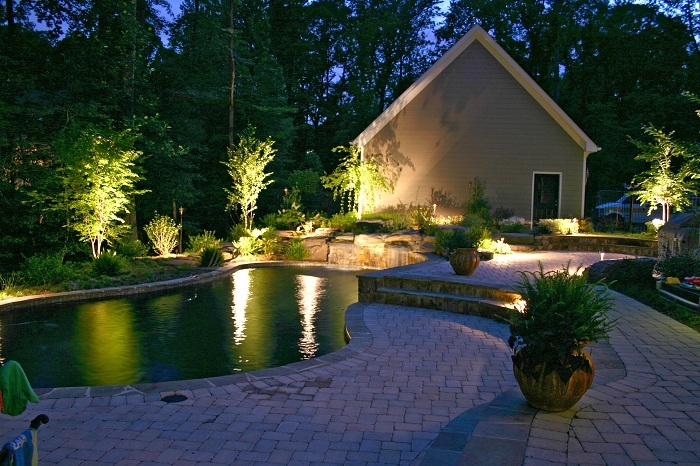 Outdoor Lighting Perspectives of Nashville can design your landscape lighting to tie all your outdoor features together in one gorgeous way so that your backyard oasis can be enjoyed by your family and friends well into the evening in an elegant and safe way. You can stay outdoors later instead of having to go inside because the sun has gone down and you can’t see or have inappropriate flood type lighting that is severe and doesn’t get the job done. Let us illuminate your yard in a gorgeous way that makes it easy to get around your property and highlights the great features in a wonderfully dreamy and elegant way. If a tropical feel is what you are after, then we can mimic a lighting mood that will send your senses back to island time. Overhead festival type lighting can set a party mood over your patio or deck that can make your outdoor feel like your favorite resort. Why quit using the pool simply because it’s dark outside? 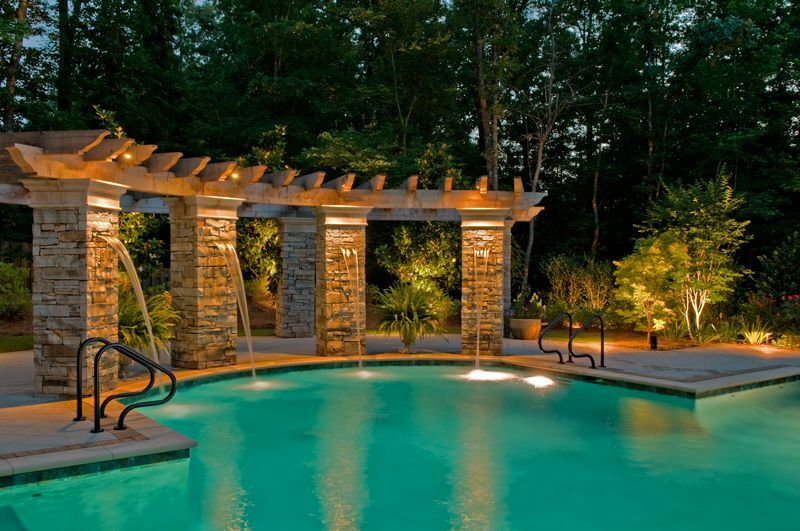 We can light your pool perimeter so you can keep the party rolling well into the evening. In fact, we can add lighting to any water feature so that the unwinding sound of a waterfall or trickling water coupled with the night-time visual can have a totally mesmerizing and tranquil twilight effect. We can even light up a koi pond so that the fish can be viewed well after the nightfall. The addition of lighting around a deck or patio gives you a place to dine and have conversation late into the night if you like. We can improve task lighting at your outdoor kitchen or barbecue so that you can cook and serve food no matter what the hour, and without having a harsh or loud glare either. We can also add some sparkle to a gazebo or pergola so that it becomes a romantic getaway spot to share with your greatest love. If the grandkids are over, why not give them a spot to play in the evening? We can light up a horseshoe pit or even a bocce or basketball court for hours of extended night-time play. And for a real conversation centerpiece, we’ve had customers ask us to light up their beyond life-size lawn chess sets so that fierce matches can be played al fresco well past daylight hours. Neat! 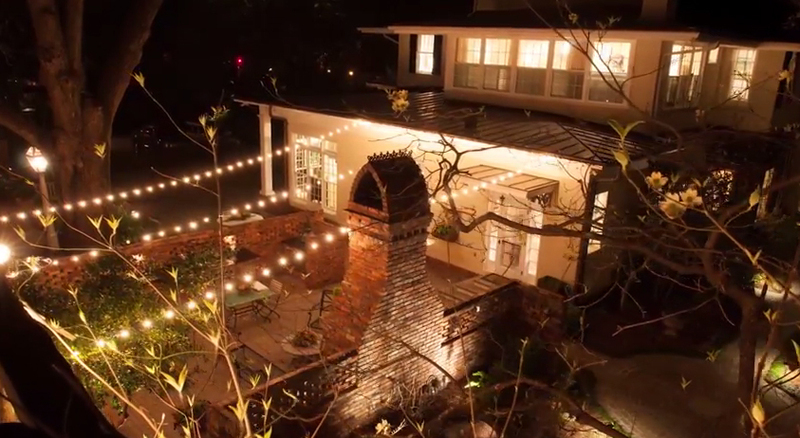 Outdoor Lighting Perspectives of Nashville can expertly illuminate your entire yard in an enchanting way so that your trees can lend a dramatic sense of evening atmosphere that you will swear will make you feel you’ve been transported to your favorite getaway destination. You tell us your favorite vacation spot is, and we will match your backyard into a similar ambiance and feel. It doesn’t matter if it’s Puerto Rico or Paris—we can help you achieve a staycation look will feel like a spa resort every night of the year. Let us show you how! 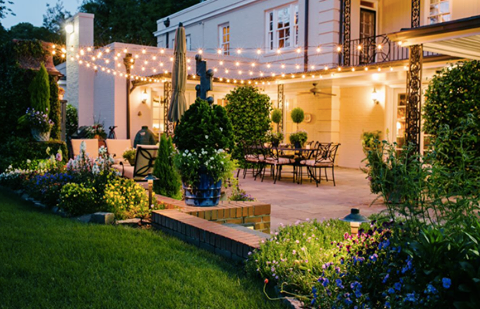 Contact Outdoor Lighting Perspectives of Nashville to learn more about giving your outdoor spaces a destination resort feel. You can call us at (615) 373 – 0638, or by emailing us at: olpnashville@outdoorlights.com . 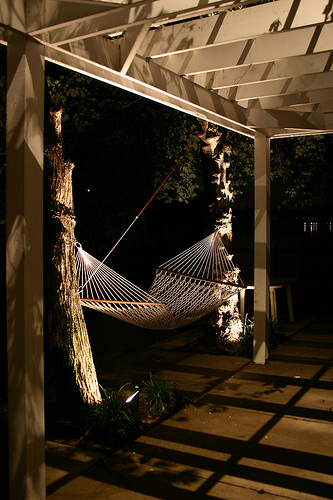 This entry was posted in Deck lighting, Festival Outdoor Lighting, Garden Lighting, Landscape Lighting, Nashville outdoor living, Outdoor Lighting, Outdoor lighting design, Residential outdoor lighting and tagged Deck lighting, Festival Outdoor Lighting, Garden lighting, Landscape Lighting, lighting design, Nashville outdoor living, nashville patio lighting, Nashville tree lighting, Outdoor Lighting, Outdoor lighting design, outdoor lighting Nashville, Outdoor Lighting Perspectives of Nashville, Residential outdoor lighting by outdoorlightingnashville. Bookmark the permalink.